How Money Affects Your Body, Mind and Spirit. Metaphysics For Life is funded by advertising, sales of products and services, and by donations to The Foundation For Creating A Mind With Heart. 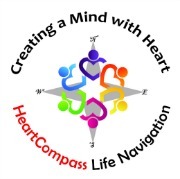 It is the only form of financial support I am aware of that will create an experience of gratitude, opening the Gateway of the Heart, and supporting the process of Creating A Mind With Heart - which is the ultimate intention of Heartcompass Enterprises and this website. Clicking on ads and purchasing products also creates revenue for this site, but these trigger the dopamine response (pleasure, which is not a bad thing) not the oxytocin response which creates feelings of connection and opens the Heart. Read the lesson below, donate what you can, and you will be given access to a Special 5 Page Report on Creating A Mind With Heart! Before you donate time, money, or materials to a good cause, it's important to understand the metaphysical nature of the act of donating. 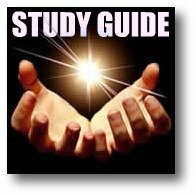 I chose donations as one of the ways to monetize, or provide financial support for, Metaphysics for Life and the Foundation For A Mind With Heart because it is a necessary aspect of maintaining a healthy physical-mental-emotional relationship with money. The metaphysics of money is the same as the metaphysics of all physical manifestations of our life here in the third dimension. It has physical, mental and emotional components that arise from our original intentions. The original intention of money is to provide a barrier to exchange (giving<>receiving) where none exists naturally in order to assign an arbitrary value to that exchange. Now that sounds complicated, so let me give you an example that might make this concept a bit clearer. 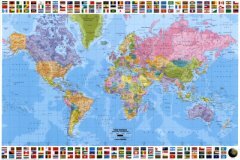 If you look at a map of the world, you will find all kinds of lines or boundaries drawn on it. These lines are the imaginary boundaries that create states and nations. These boundaries or barriers do not exist naturally, so we create them with our minds - we "imagine" them. We use these barriers to control the movement of people on the planet, to create identities for groups that live within the boundaries, and to create an illusion of ownership where none of that would exist otherwise. 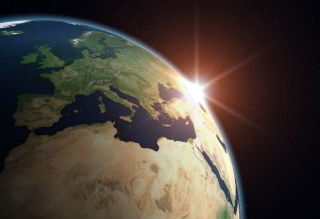 To test this example for yourself, look at a picture of Earth from space. The lines we see as boundaries on the map are of course not visible. They exist only in our imaginations. The same can be said about money. The price we place on products and services is entirely made up. In fact, the very need to exchange money for anything is entirely made up. Researchers have found that the act of creating financial barriers to exchange (ie. barter, trade, or money) has an effect upon our mind, body and emotions. 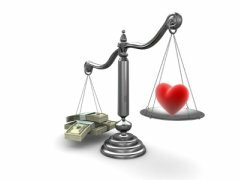 Money can affect the mind, body and emotions in one of three ways depending upon how it is being utilized. 1) When money is received - as payment, as a gift, or by winning - there is a release of the hormone dopamine in the brain. 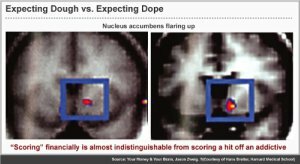 Dopamine is the hormone associated with addiction. This hormone is released whenever we consume substances or have experiences that create feelings of well being that rely upon the external substance or experience. To maintain those feelings of excitement, satisfaction, safety, security, etc. we must repeatedly consume the external substance - in this case money. If kept in balance, the dopamine provides a healthy stimulus to obtain needed resources and positive experiences. If allowed to spin out of control, the results are similar to drug, alcohol, and other chemical addictions. 2) When used to pay for needed products and services, or in exchange for desired goods and experiences, money triggers pain receptors in the brain. This gives rise to sayings such as, "It cost me an arm and a leg" (OUCH! ), or "I paid through the nose" (Owee!). 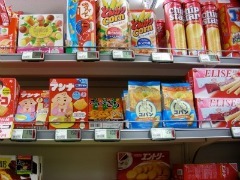 Many of us find that it's fun to go shopping. That's because the thrill of getting new things triggers the dopamine response, which counteracts the pain response when we have to part with our money. Now we have dopamine being released and pain receptors being activated in the brain simultaneously. If allowed to go unregulated, this creates a potential overdose situation, which is where many of us find ourselves today (ie. addicted to money and too much stuff). 3) When given to others as a gift or donation, money can cause the release of oxyocin in the brain. This hormone is the chemical released when a mother bonds with her baby, when lovers hold hands or cuddle, when friends hug, and when people smile at each other when they pass on the street. 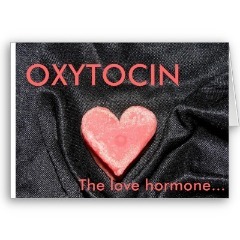 Oxytocin is a physical manifestation of the emotion of love, appreciation, gratitude, inner peace, well being and connection. I hope it is becoming clear to you why I chose donations as one of the models for monetization of this website. Donating - as a means of expressing gratitude, support, and appreciation - provides a balancing and healing effect in our relationship with money. Perhaps the authors of our religious documents knew on some level that tithing ten percent of the money we receive from whatever source has spiritual as well as physical and emotional benefits, even though they didn't know that donating counteracts addiction and pain responses to money in the brain. To be an expression of gratitude and appreciation, to cause the brain to create oxytocin and the health benefits related to that, donating money must truly be given as a way of saying, "Thank you!" The Foundation for Creating A Mind With Heart is supported in part by revenue from Metaphysics-for-Life.com and by donations. Donate what you can now and you will be given access to a special 5 page Report on Creating A Mind With Heart. Learn more about Creating A Mind With Heart here. Join the Foundation for free and get access to a Members page with video lessons, a free eBook, and much more.